I have just begun work on a new project to create a huge human sundial. The giant sandstone clock will consist of a central stone on which a person will stand. On a sunny day their shadow will project in the direction of one of the 20 stones situated in a 15m diameter circle around it. The stone contains several bits of information. Firstly, it has the hour, carved in Roman Numerals. Secondly it has the direction in miles to a country in that direction Finally it has a relief carved image of a tree, plant or flower from that country. 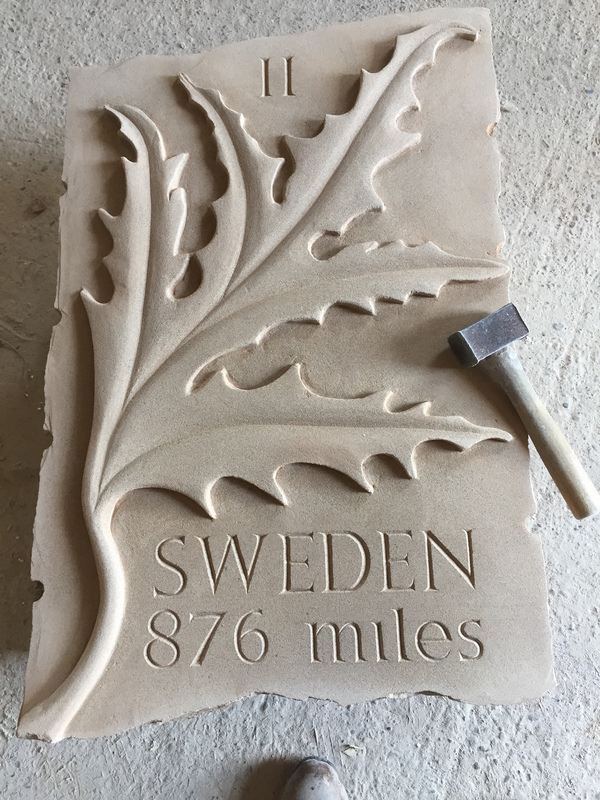 The sculpture has been commissioned by the Woodland Trust and is due to be installed at one of their sites in Leicestershire next Spring.